Viewers are aware that Ilayathalapathy Vijay never fails to encourage a good cinema and appreciate stars for their work. Off the late, Vijay taps Raghava Lawrence back for his efforts in Kanchana 2. Both Ilayathalapathy Vijay and Raghava Lawrence are great friends right from Thirumalai days in which both danced together for a song. A day before Kanchana-2 release, Super star Rajnikanth called Raghava Lawrence and wished him good luck for the film and predicted the success of the movie. 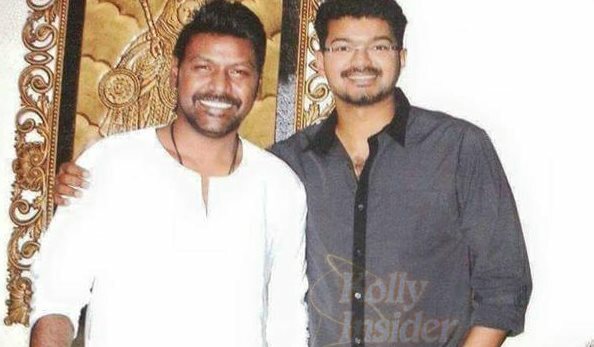 Now, two days after the release, Illayathalapathy Vijay personally called up Lawrence and has congratulated him! According to a source, Vijay personally rang Lawrence and invited him to his residence. Thrilled by the gesture, Lawrence visited Vijay’s house, where Vijay congratulated him for his efforts for the film. Directed, acted and produced by Lawrence, recently released Kanchana 2 has been huge hit with raining currency at the Tamil Nadu Box Office. Even after the simultaneous release of Mani Ratnam's OK Kanmani, Kanchana 2 didn't fall short of audiences and being thoroughly enjoyed. Further he added, "I and Vijay have been friends from long time. He is a good friend of mine. Vijay never fails to call me and wish me for every movie of mine." "Kanchana 2 is an awesome movie, he said'', concluded Lawrence. Taapsee, Manobala, Sriman, Kovai Sarala played pivotal roles in Kanchana 2. Nithya Menon will be seen in a special role.